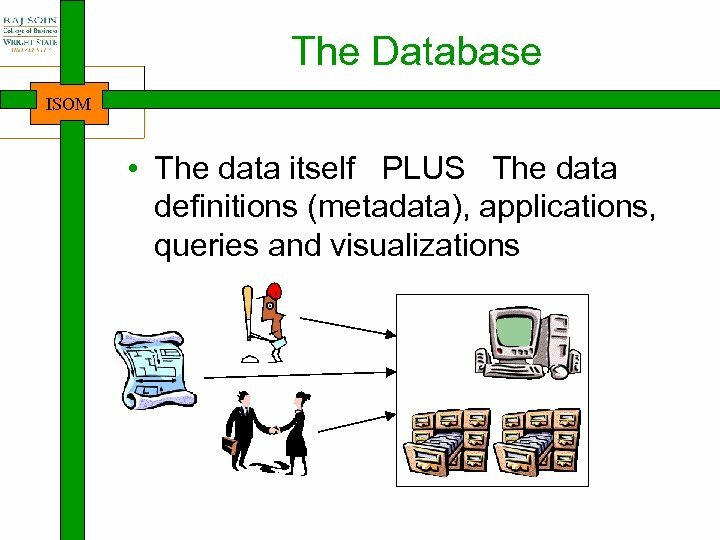 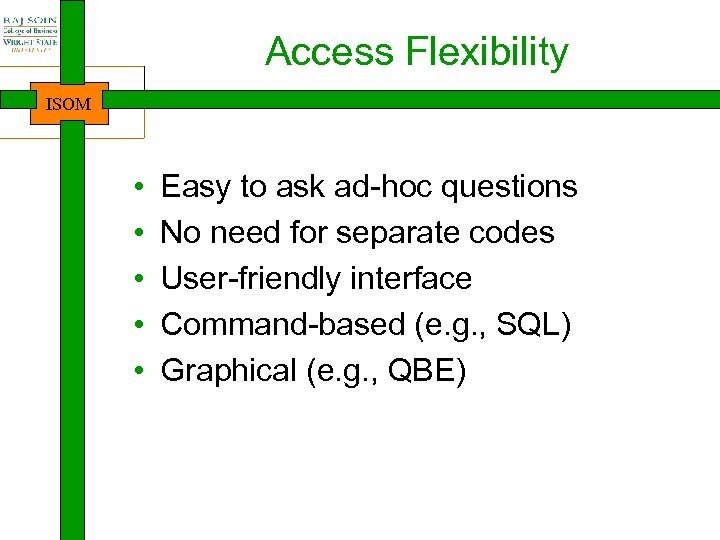 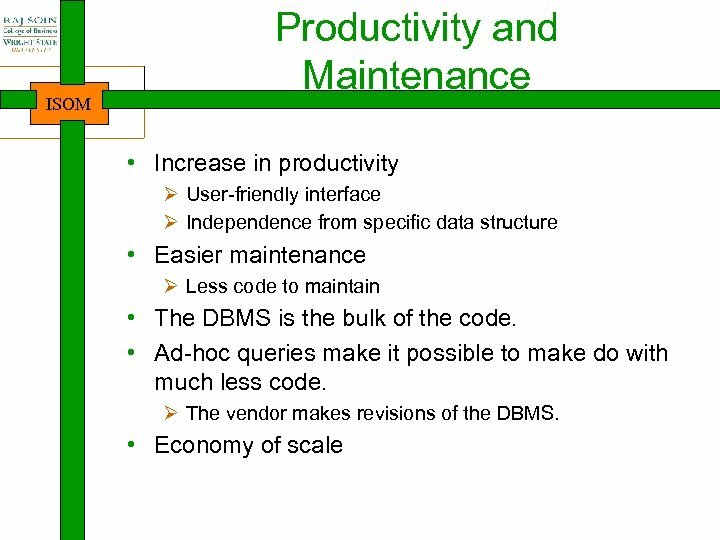 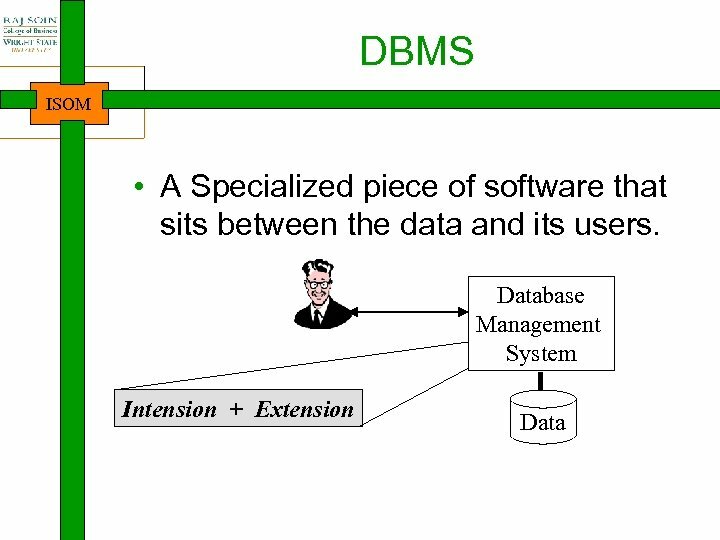 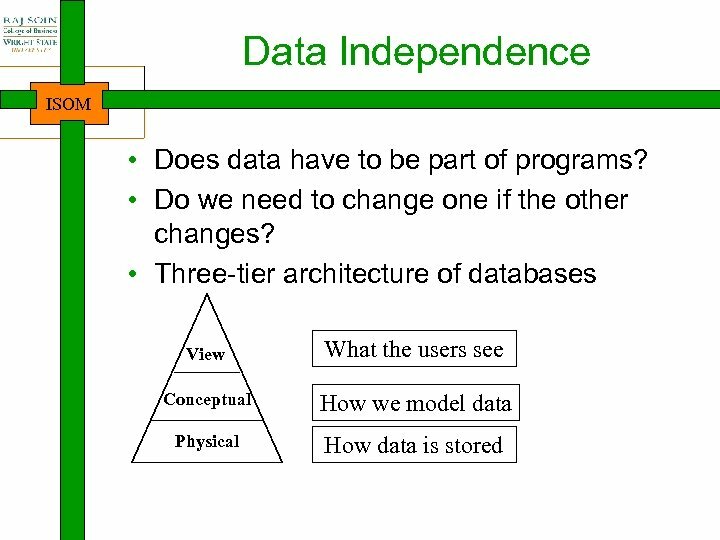 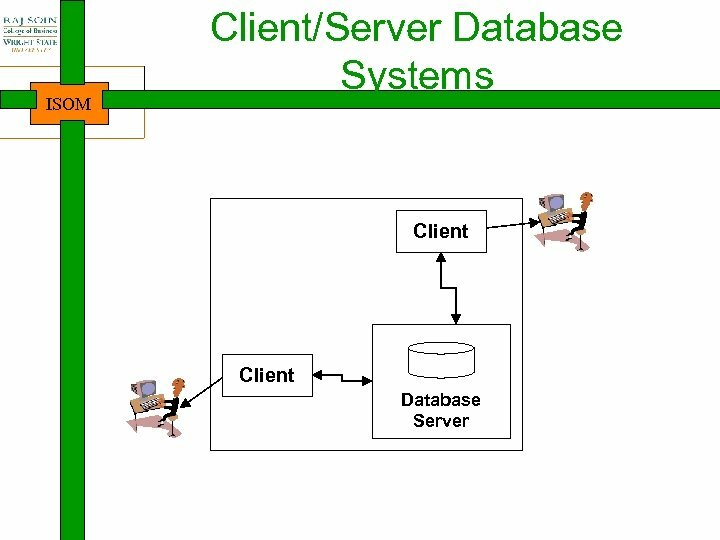 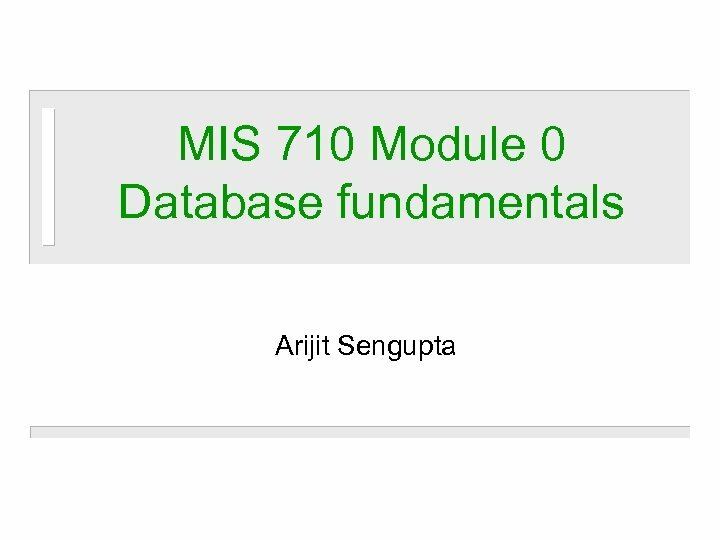 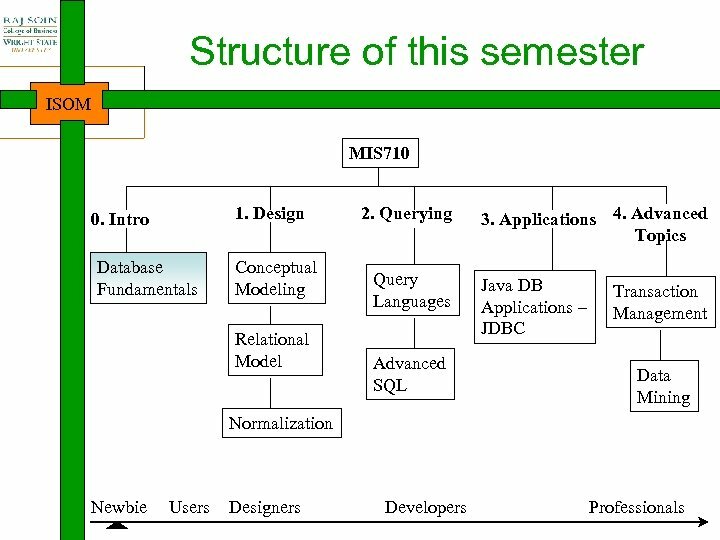 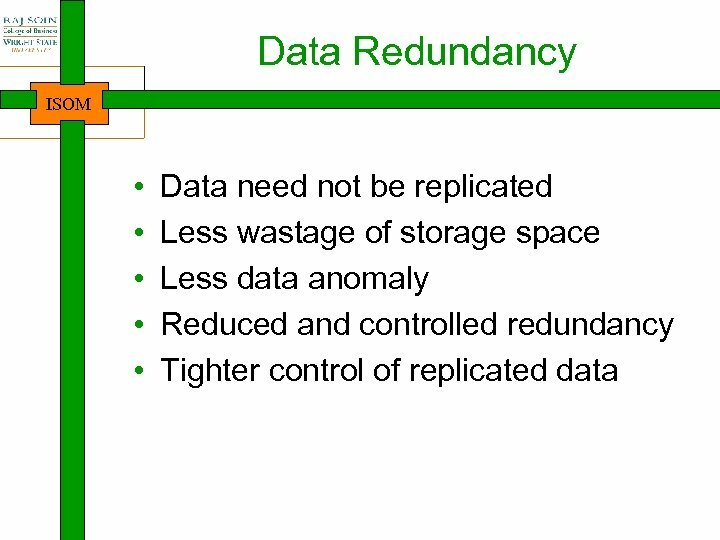 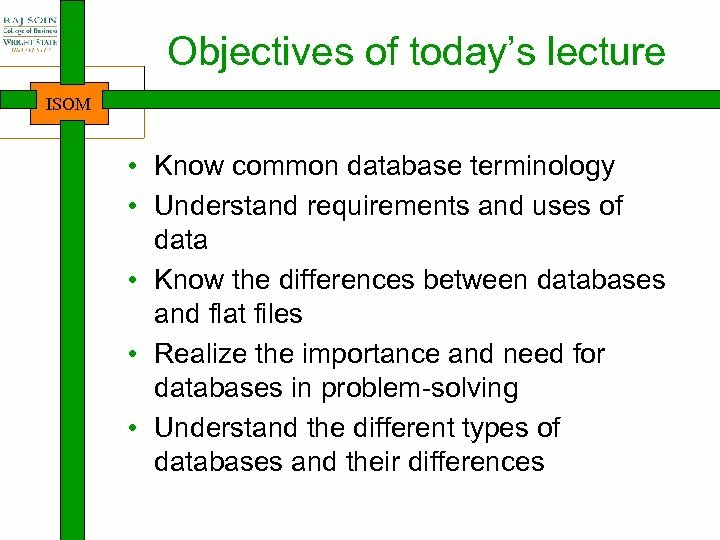 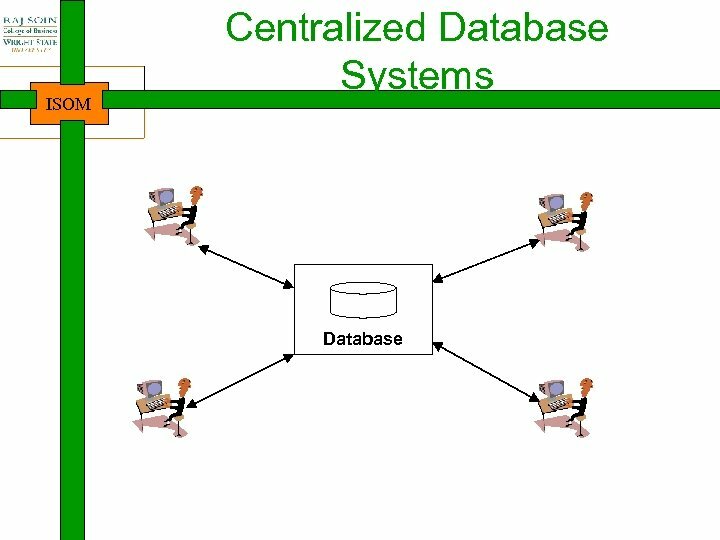 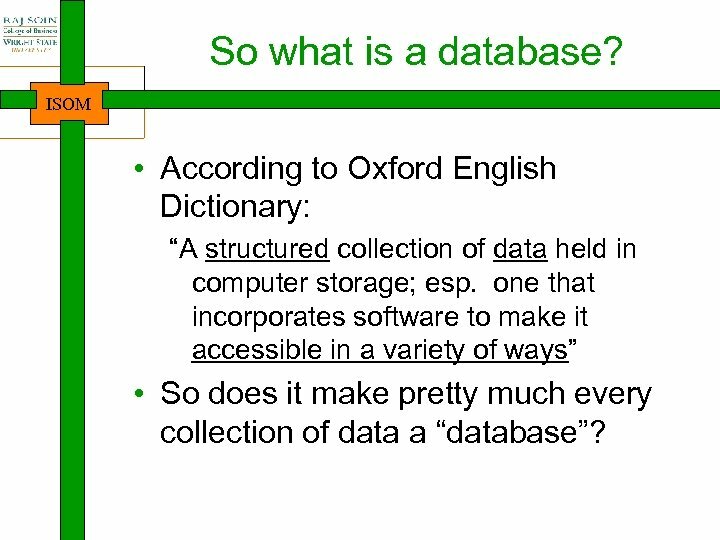 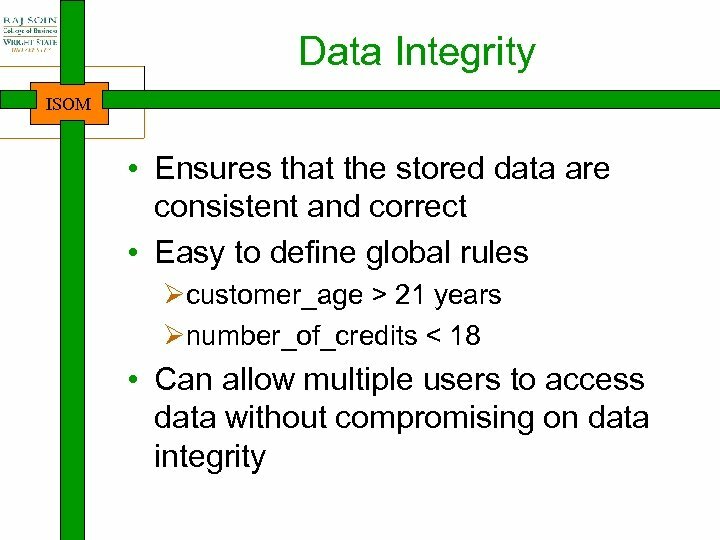 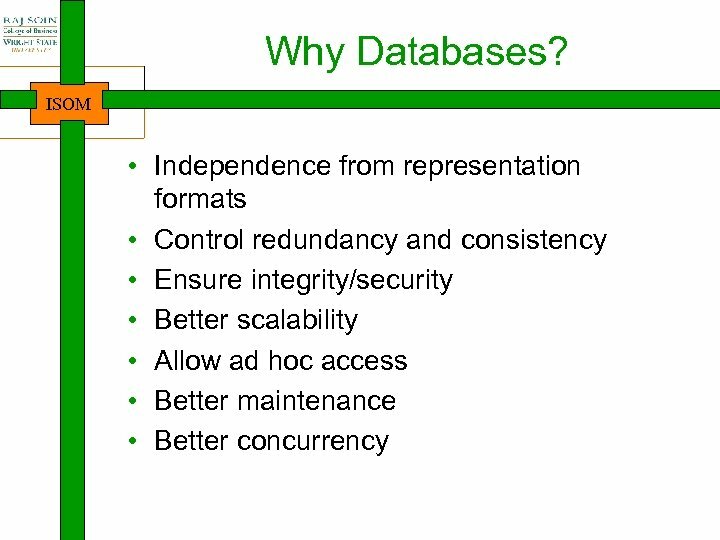 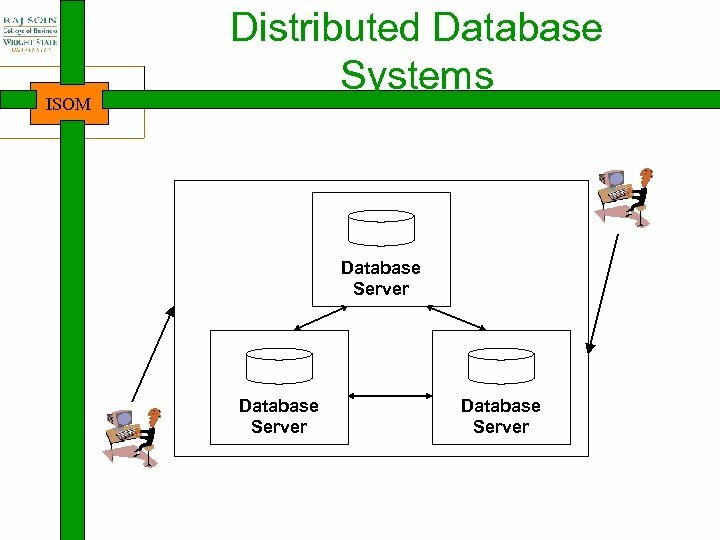 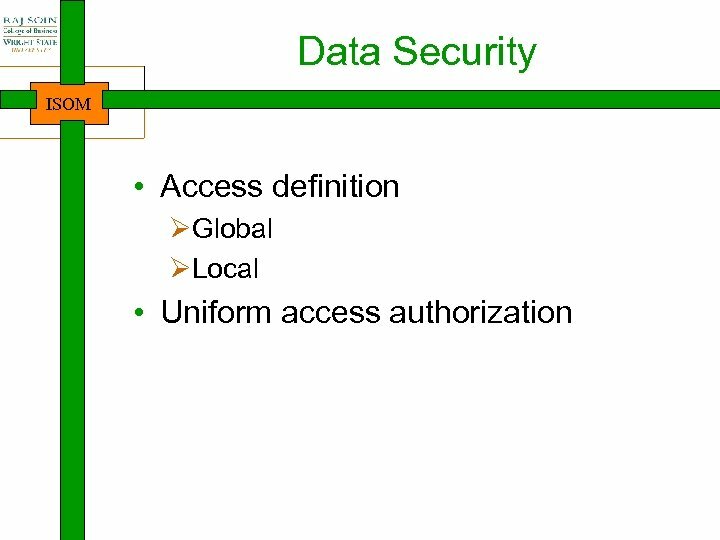 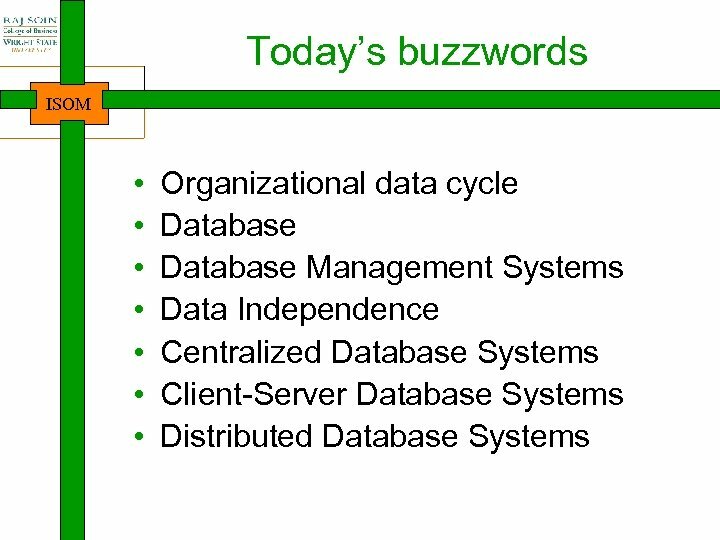 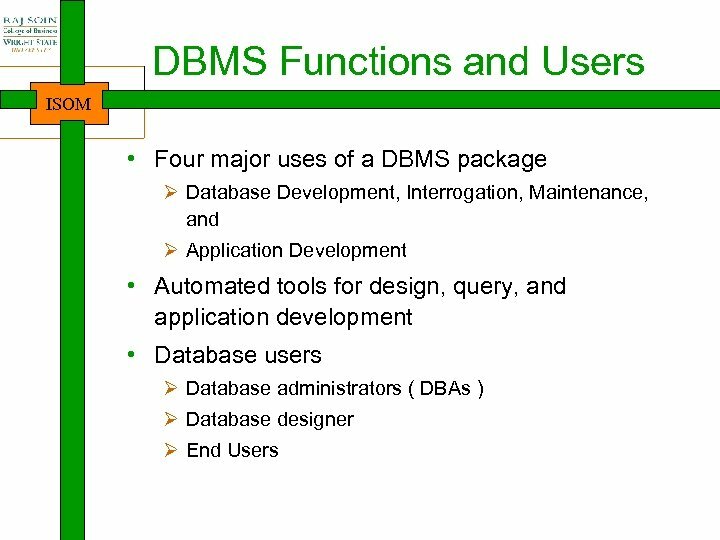 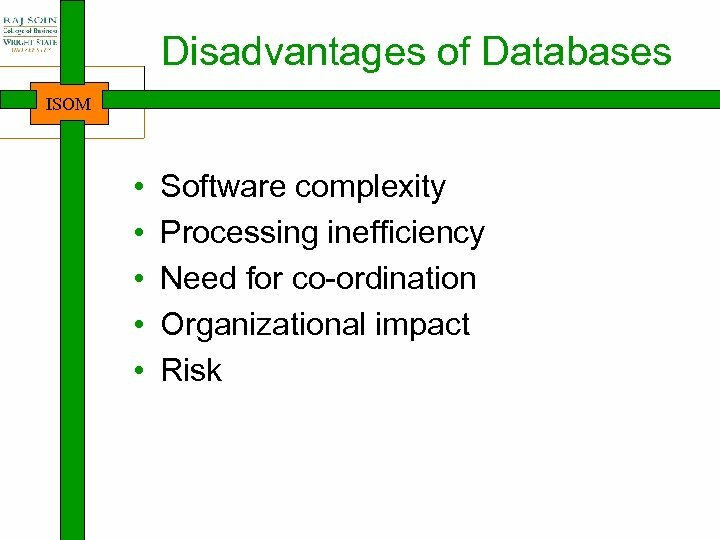 So what is a database? 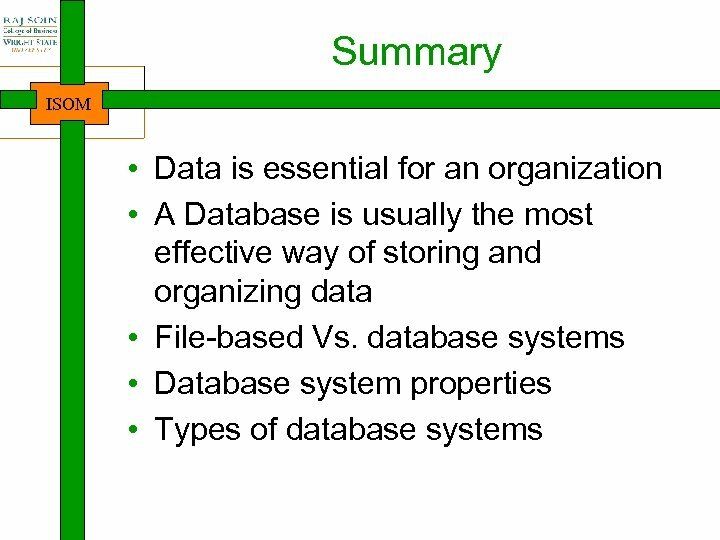 ISOM • According to Oxford English Dictionary: “A structured collection of data held in computer storage; esp. 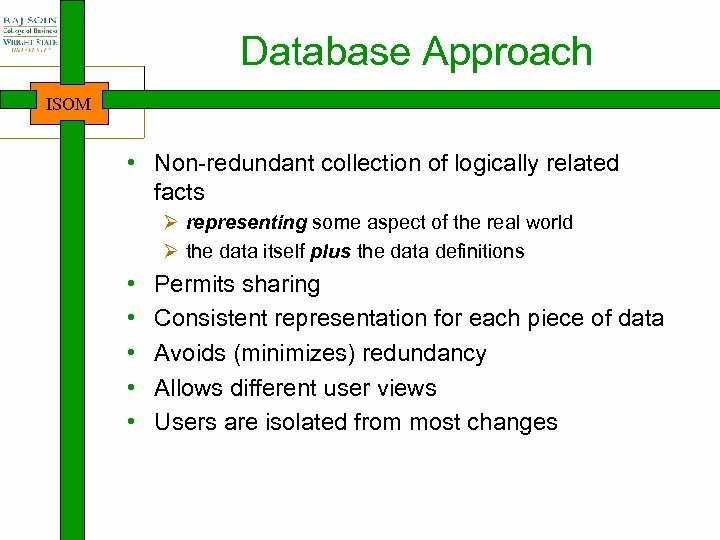 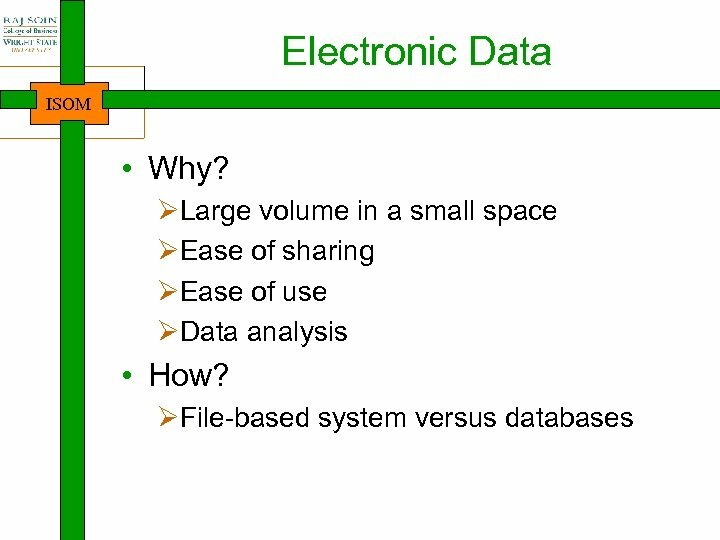 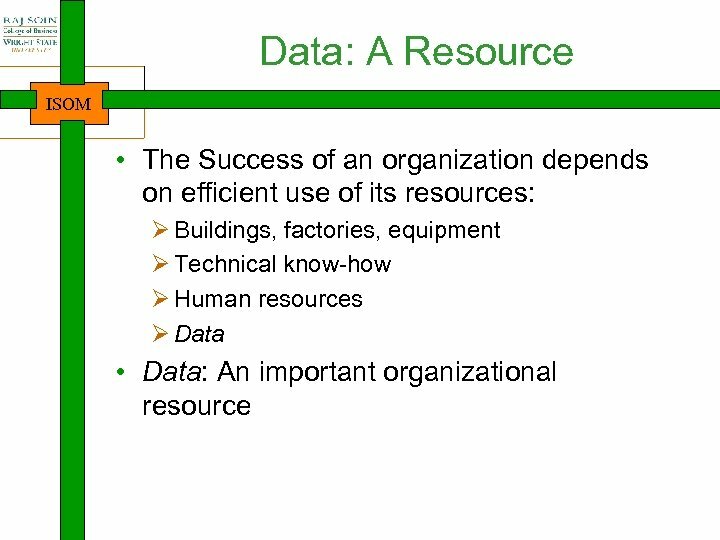 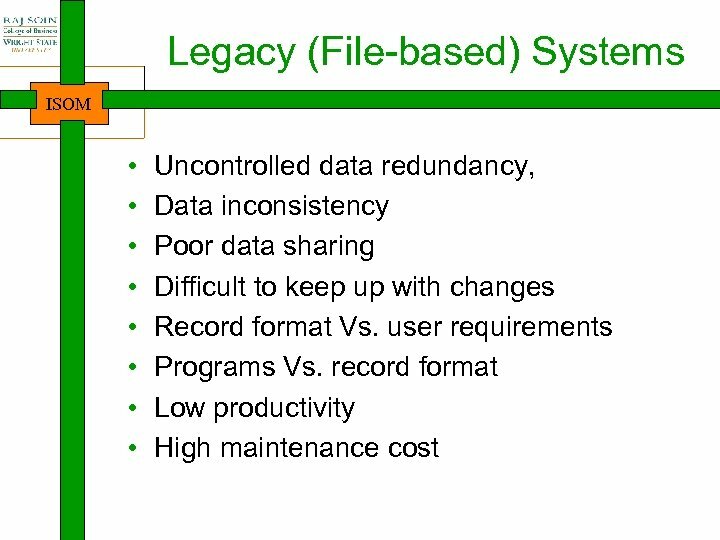 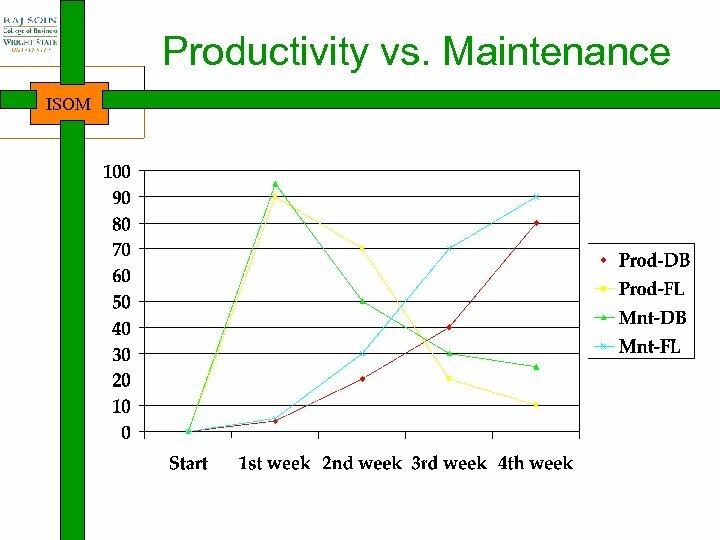 one that incorporates software to make it accessible in a variety of ways” • So does it make pretty much every collection of data a “database”? 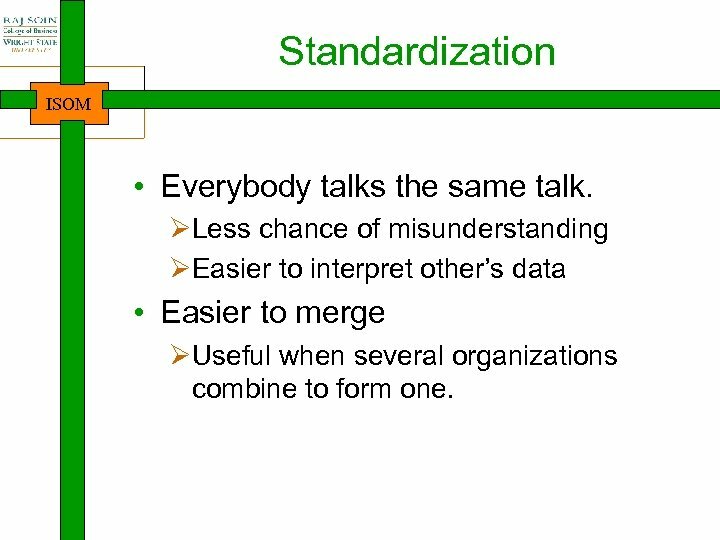 Standardization ISOM • Everybody talks the same talk. 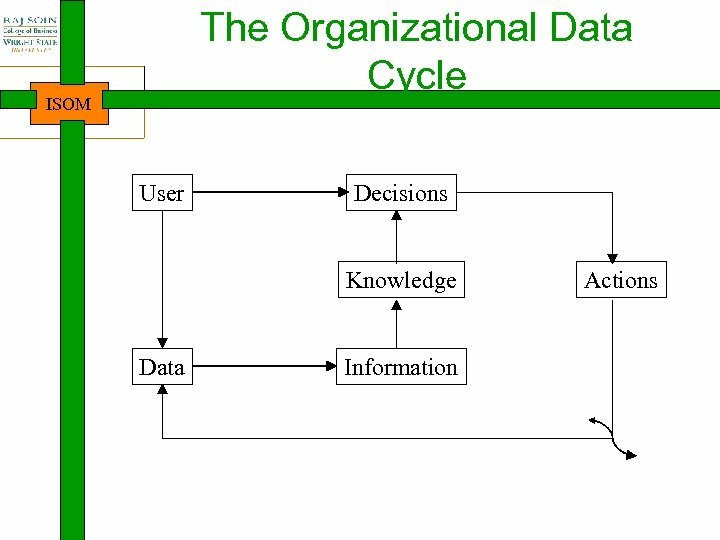 ØLess chance of misunderstanding ØEasier to interpret other’s data • Easier to merge ØUseful when several organizations combine to form one.